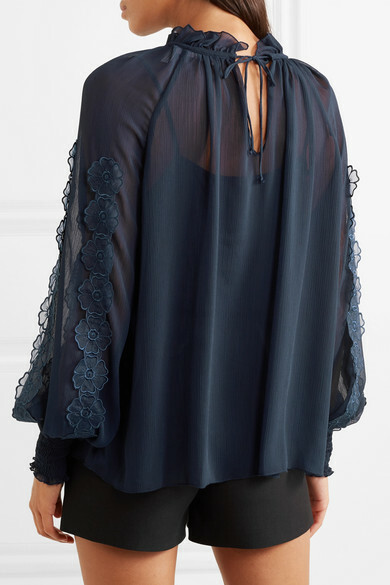 This blouse has See By Chloé written all over it - we see fresh renditions on the runway every season. 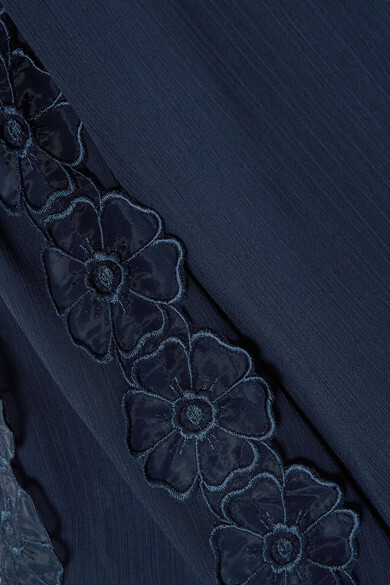 It's made from chiffon that's appliquéd with lace daisy-chains along the blouson sleeves. 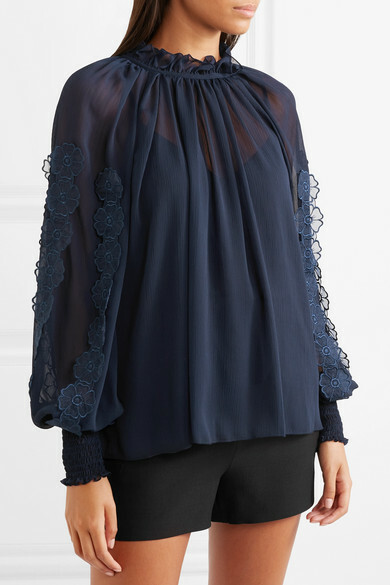 The ruffled neckline and shirred cuffs accentuate the fabric's floatiness in such a pretty way. Try swapping out the camisole lining for a bralette. Shown here with: Valentino Shorts, Chloé Shoulder bag, K Jacques St Tropez Sandals, Alighieri Earrings.